Hillyer House, a renowned gift shop in Ocean Springs, Mississippi, sells jewelry, artwork, pottery and a vast array of other specialty items from some of the best artisans in the country. The owner asked Loyalty Systems to help expand her retail business, to the internet. 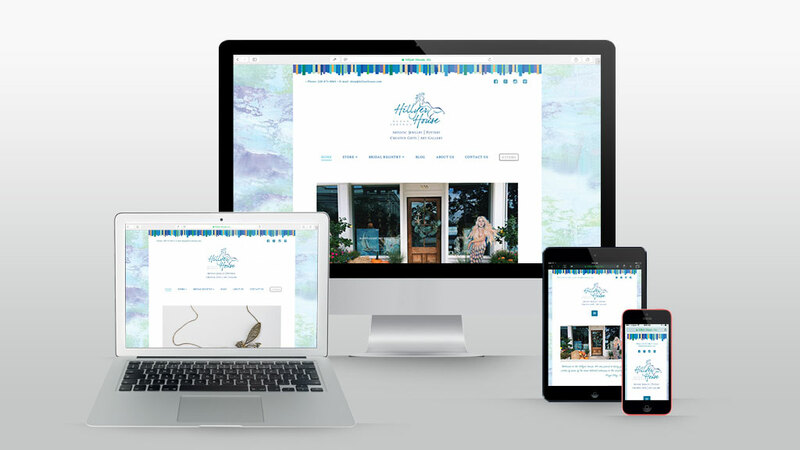 We then created a new, responsive website that reflects a soft and luxurious feel, with splashes of color. The online shopping cart is dynamic yet simple to maintain. It contains features that enhance the shopping experience; for example, hovering over and zooming in on items. We integrated a secure payment gateway provided by CoCard.